A special date is coming next week for those in love, an occasion which helps many people cope with these cold and long winter nights until the arrival of spring. As you all may have guessed, it is Valentine’s Day. We might be wrong, but in a way this day is like Marmite®, you either hate it or love it. Some people start thinking about what to do on that special day a month or even before, the choices are endless: romantic lit-candle dinner, a weekend in Paris, and so on and so forth. Some others say every day is or should be Valentine’s Day and that is according to the former ones the perfect excuse to get away with not preparing or buying anything for their significant other. 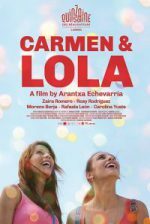 If alternative cinema is your thing and you love Spanish films, our recommendation would be to go and watch the latest film by Arantxa Echevarría Carmen & Lola. A love story of two gypsy girls. This film has received 8 Goyas’ nominations (Spain’s Film Awards): Best Film, Best New Director, Best Original Screenplay, Best Original Song, Best Supporting Actress, Best New Actor, and 2 Best New Actress. If you are not very keen on getting out of your house and you would rather spend your Valentine´s Day reading at home, we would recommend you The Book of Good Love (El libro del buen amor) by Juan Ruiz, the Archpriest of Hita (1343), considered one of the masterpieces of Spanish poetry, a book full of moral and funny tales. There have been some worldwide lovers throughout our present history, such as Romeo and Juliet, but there is one couple who still lives in Spanish lover’s hearts: Diego and Isabel known as “The lovers of Teruel” (Los amantes de Teruel). It is a medieval romance story about two lovers whose end was being buried side by side. Not only have they been represented in different artistic forms, such as painting and sculpture but also, they have been taken to the stage by some of the most famous playwrights, including Tirso de Molina and Juan Eugenio Hartzenbusch. 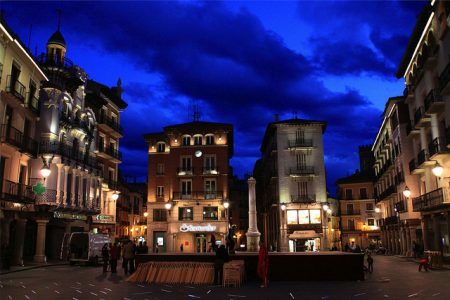 Our last recommendation for the most adventurous lovers is a romantic weekend away in Teruel, a small province capital located in eastern Spain. One of the places you cannot miss is the tomb by Juan de Ávalos at the Mausoleo de los Amantes and also enjoy the festival that takes place every February remembering the story of Diego and Isabel. Whatever you do, we hope you enjoy to the full.